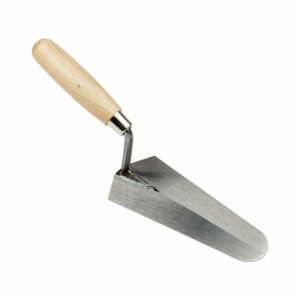 Standard steel gauging trowel for measuring aggregates and other materials. 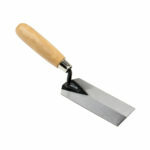 Measures 180mm in length, with a taper from 80mm to 40mm. 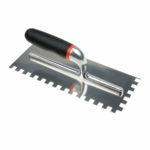 This Steel Gauging Trowel is a standard steel gauging trowel for measuring aggregates and other materials. 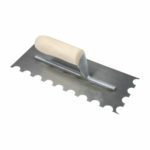 Also ideal for transferring and applying adhesives, plaster and other materials. Open wooden handle design, welded onto a high carbon steel blade that is tempered and hardened for durability. 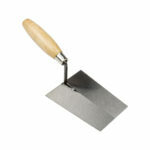 The blade measures 180mm in length, with a taper from 80mm to 40mm.